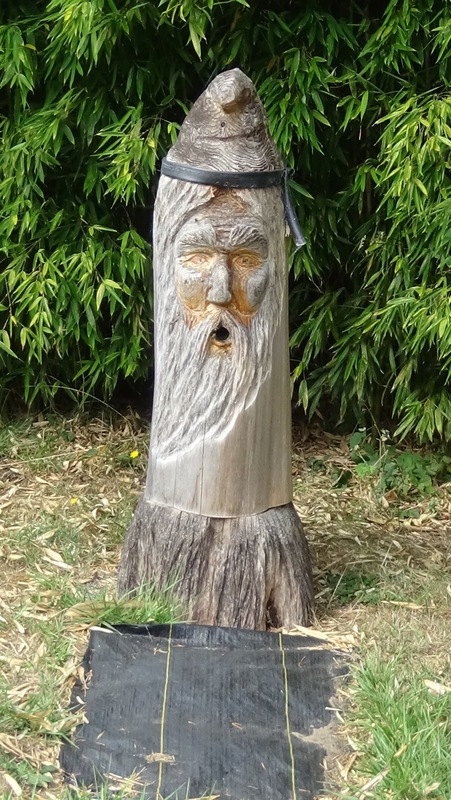 Standing tall, Bee Beard Log hive is doing well since it was revived in August 2014. 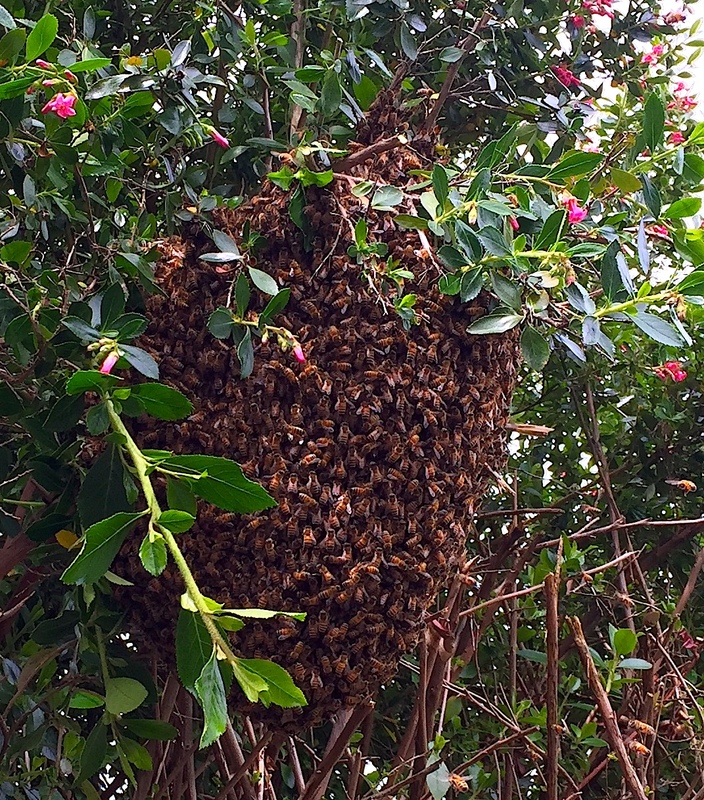 It swarmed at least once on May 11 of this year, but that swarm moved on without us getting it. 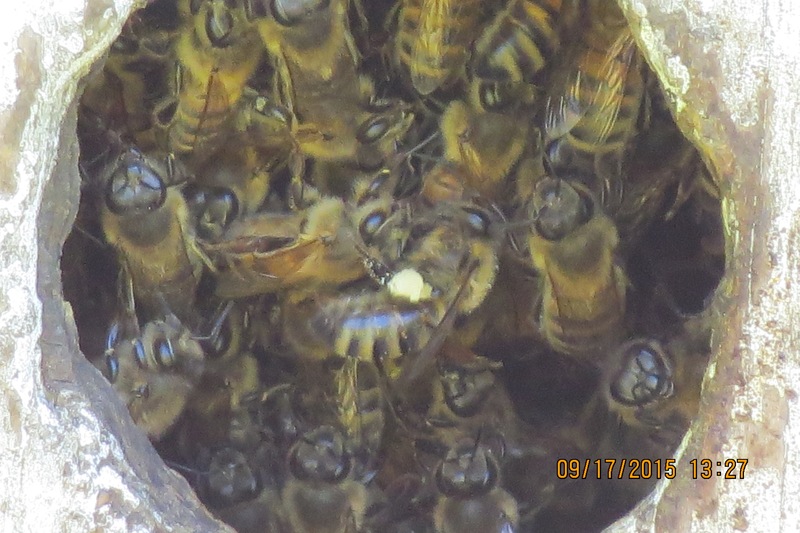 Sept. 23…Lots of good orange pollen being carried into this hive. 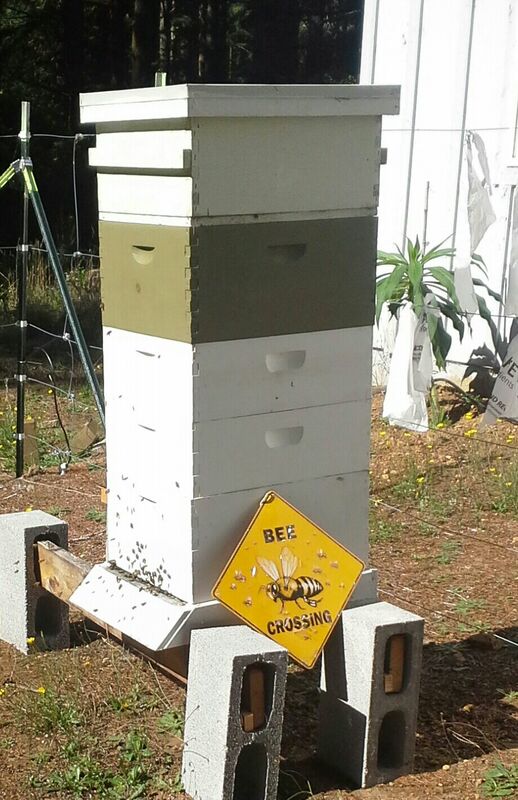 This hive will go into winter without me intervening in any way. 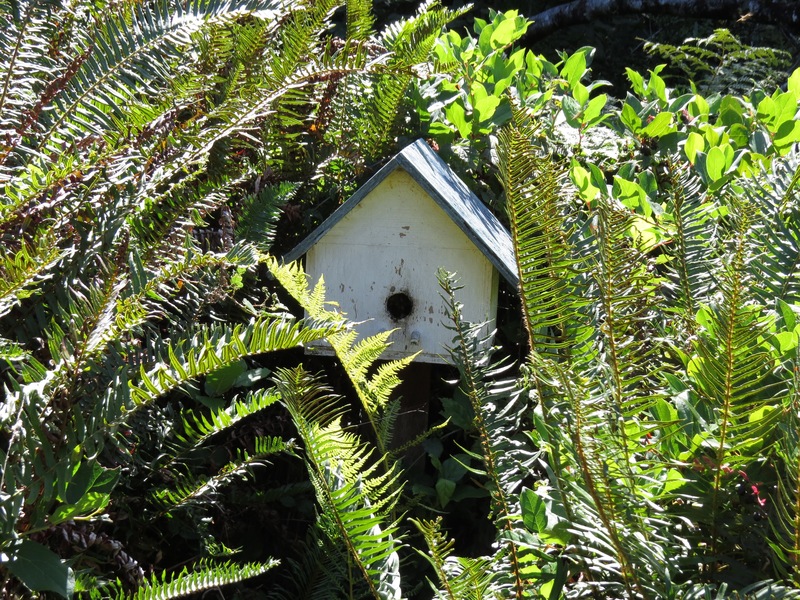 Sept. 17…These birdhouse bees are doing so well, I’m starting to think that small bee hives are the way to go. This hive has no other openings other than the entrance. I don’t understand how they can survive without much ventilation, but they are doing well, which is a good way to head into their second winter shadow. Here’s a closer look at the entrance showing how crowded they are. The video shows the amount of pollen flying in. 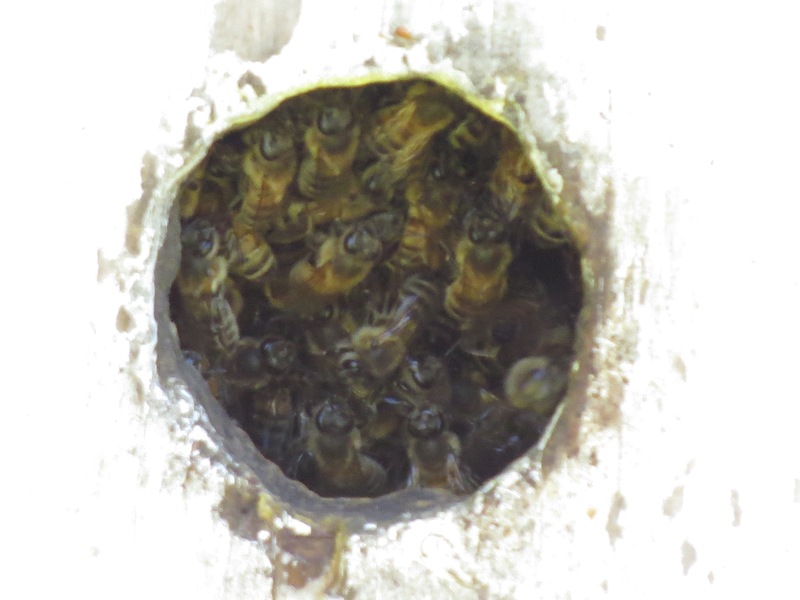 May 14…The day after the big swarm moved into the Grandkids Log hive, Bee-atrice log hive went into swarm mode. May 14…Ron got this one. He lives just up the road. I’m happy to report that Ron says they are doing well. They are active and bringing in lots of pollen. 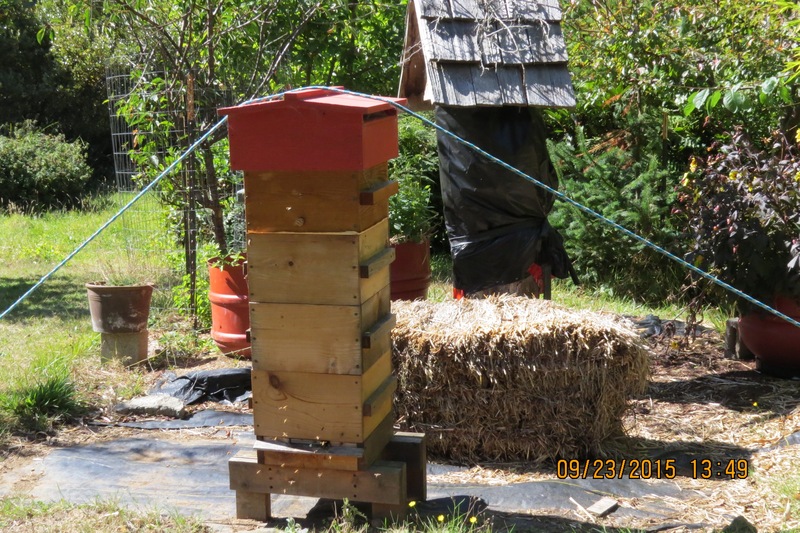 Sept. 23…I’m down to only one Warre hive now. It’s doing well with lots of pollen coming in. 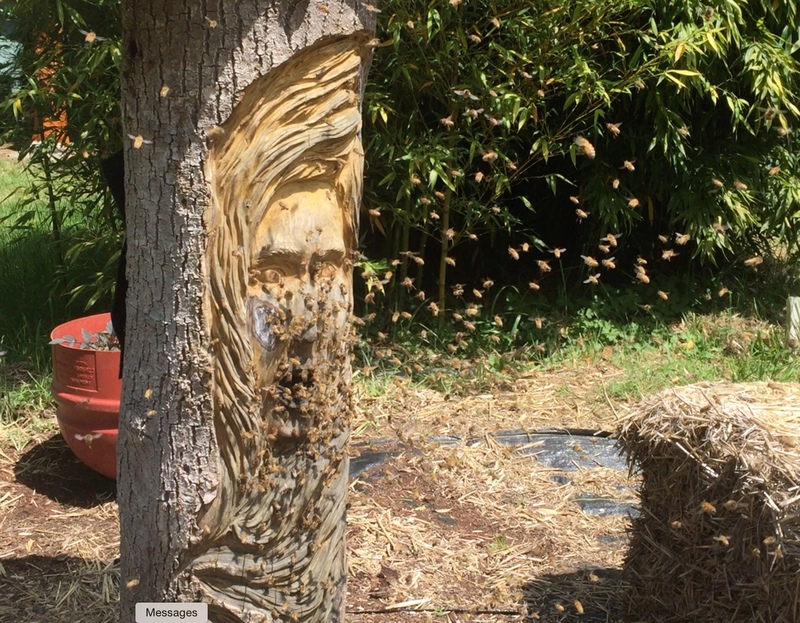 You can see Bee-atrice Log hive ‘shuttered’ in the background. When the wasps were running rampant inside, I had to wrap it up. 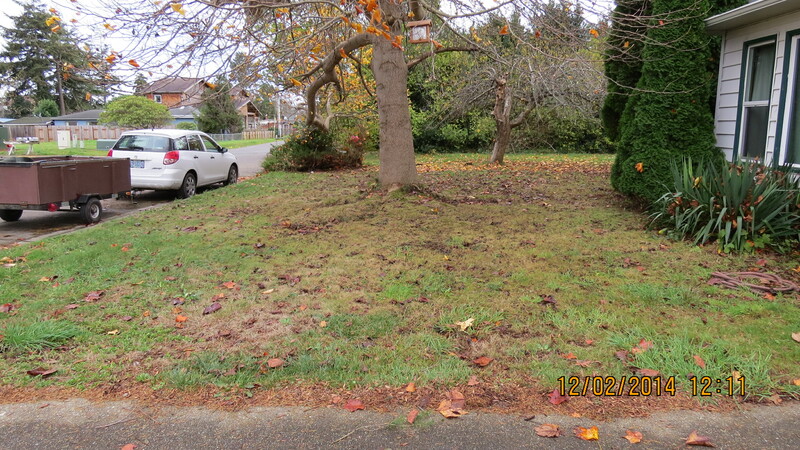 I’ll clean it out (scorch it) come spring and try to attract another swarm. 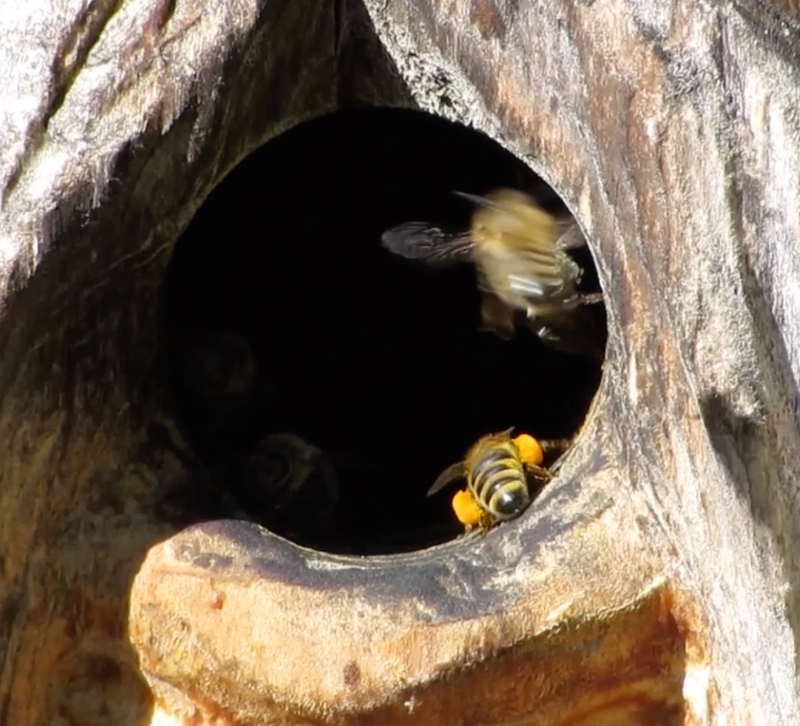 Bees head into the Warre loaded with pollen. This hive is heavy. I haven’t taken any honey from it. 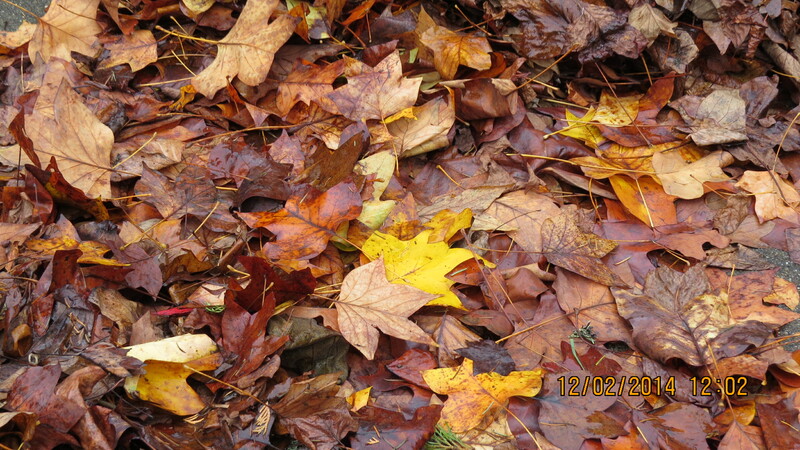 I think they will make it through the winter without me feeding. 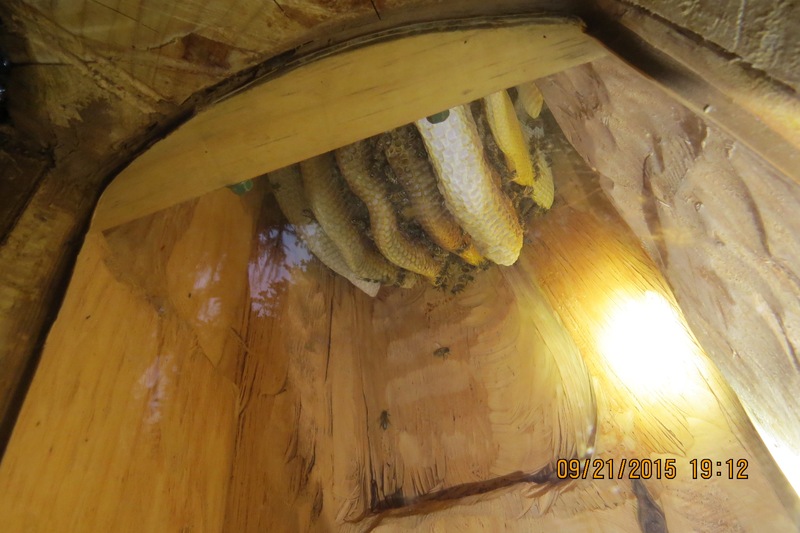 Sept. 23, 2015…Sad to say, the Grand Kids Log hive is not going to make it. The temperature started falling in mid July, and now I see wasps nosing around and drones flying out. The Grand Kids are back. 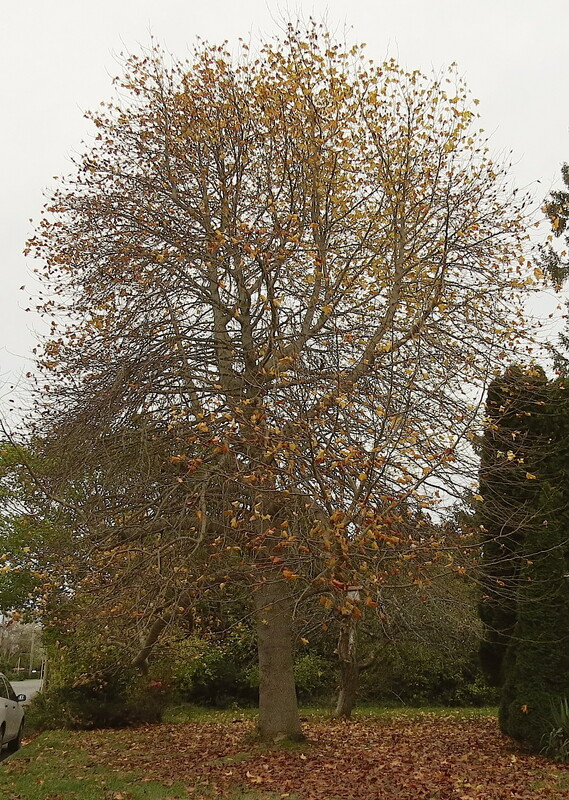 Sept. 21…Looking up into the empty combs, I see a lack of bees. Clearly the queen isn’t laying and I’ve seen a few drones exiting. Footnote: This hive must have superceded a queen, because there are not only new bees, but also new comb. 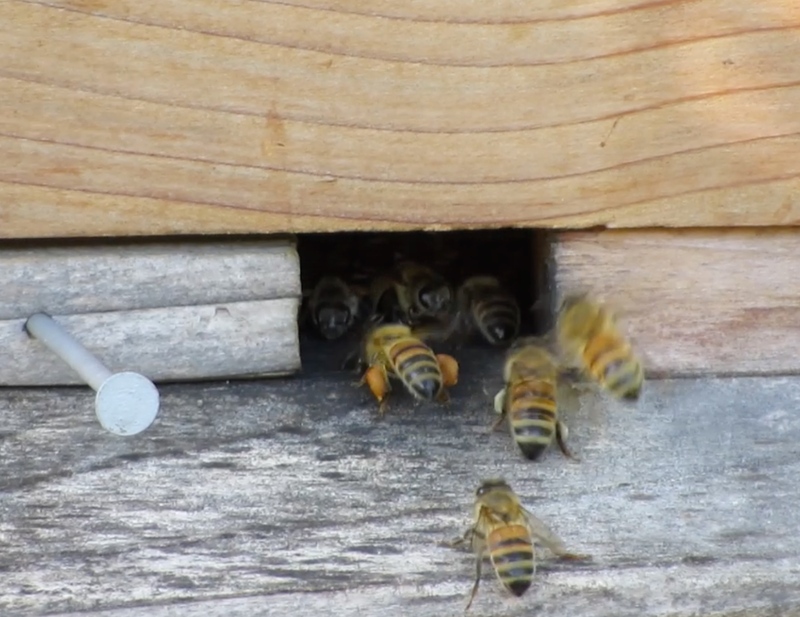 This is the only hive I can see from the house…from where I eat actually, and I gotta say, I’m so happy to see the bees flying to and from this hive when I sit down to eat!!! 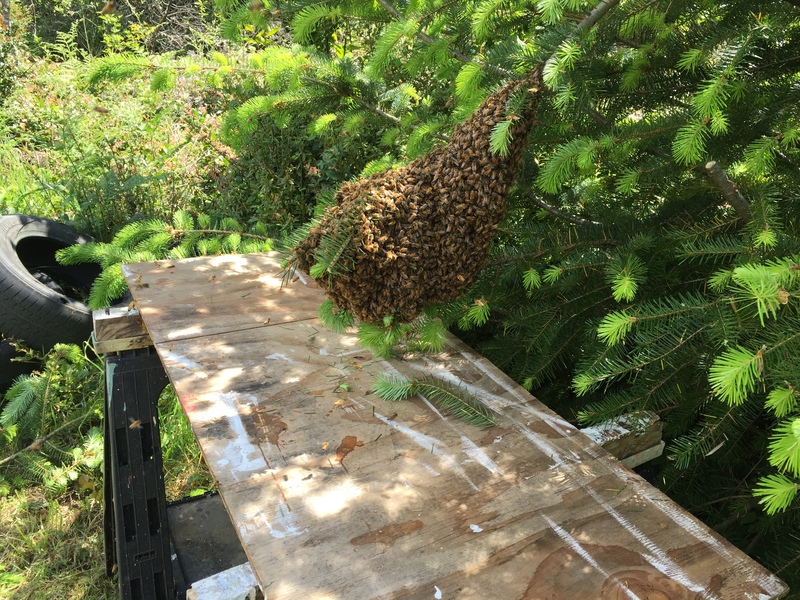 Steve says his swarm ‘is hanging in there,’ but he’s starting to feed again because they haven’t built up enough comb to get them through the winter. Steve’s hive came from this cranberry bog swarm in mid June. 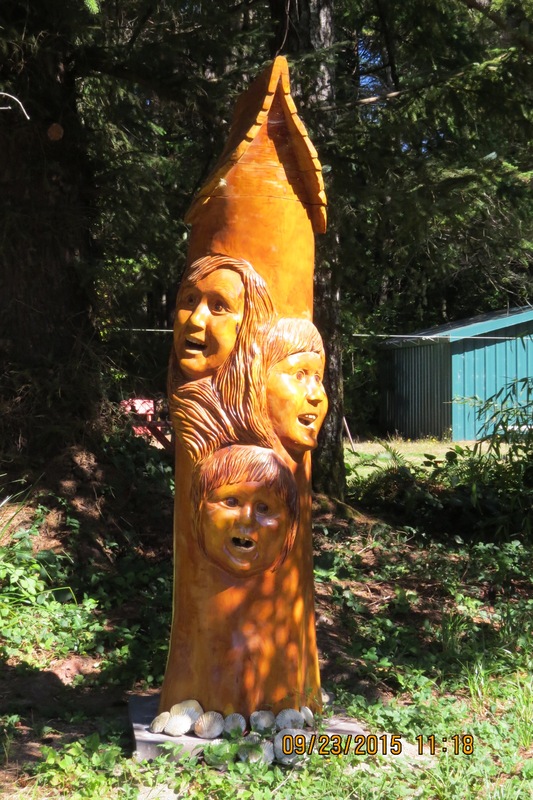 We are headed into autumn with four hives, which is all I ever really wanted, but I had really hoped that Grand Kids Log hive would be among the survivors. 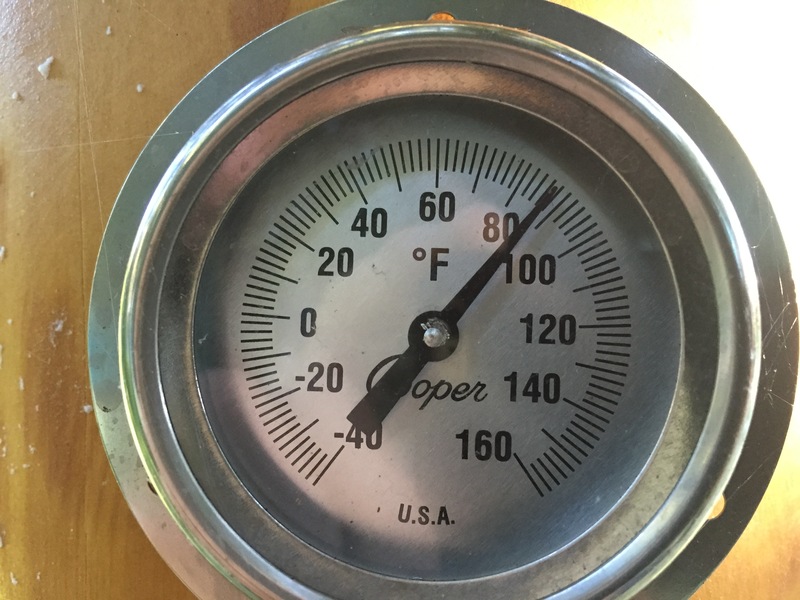 It begs the question…are smaller hives better? I’m beginning to think so. I’ve thought about partitioning off the big log hive, but then there might be air flow issues. The birdhouse bees seem to deal with lack of air flow, so maybe it won’t be an issue. 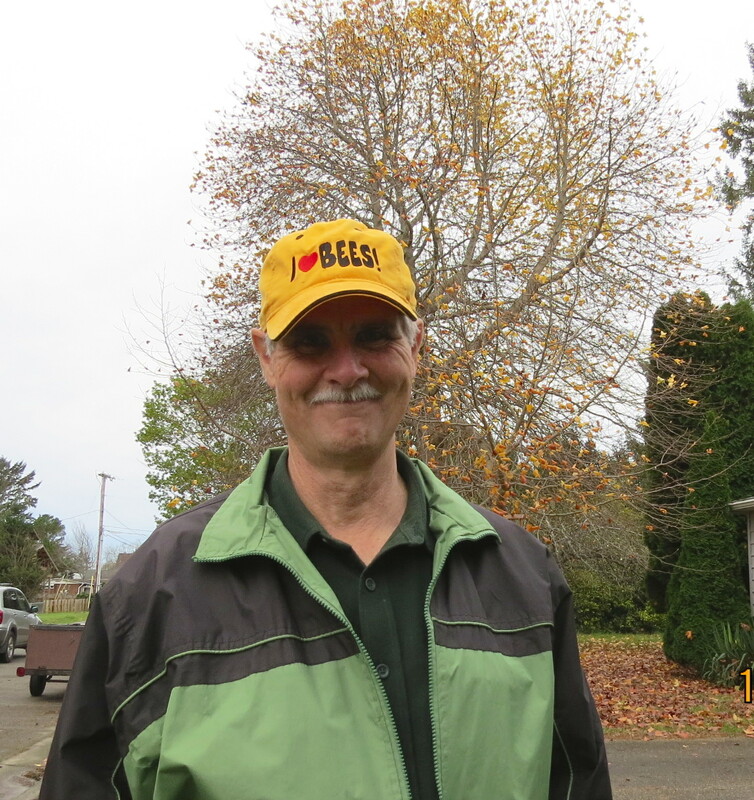 Right now I’ll let nature take it’s course and hope I can attract another swarm in spring. 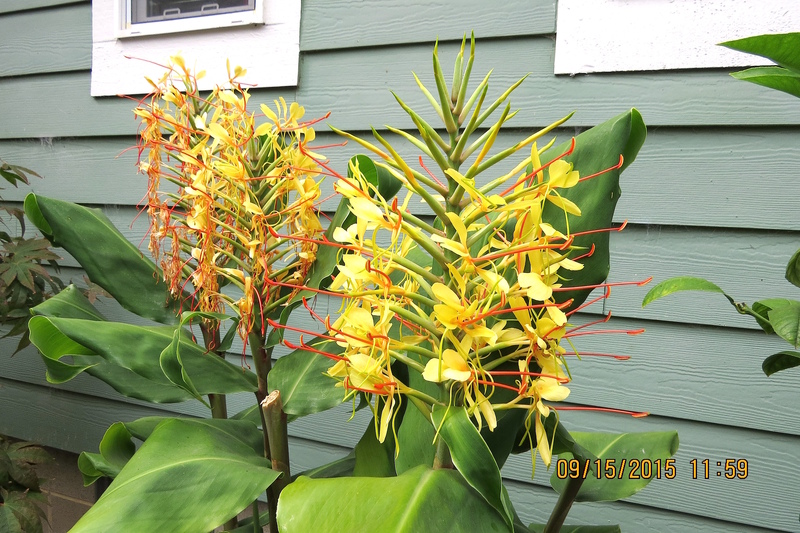 September 15…Barbara’s Kahili ginger (hedychium gardnerianum) is finally flowering. I wonder if this is the same ginger plant that I shot when photographing the Poor Man’s Orchids in July 2013? If it is, Barbara has waited over two years to see it flower. 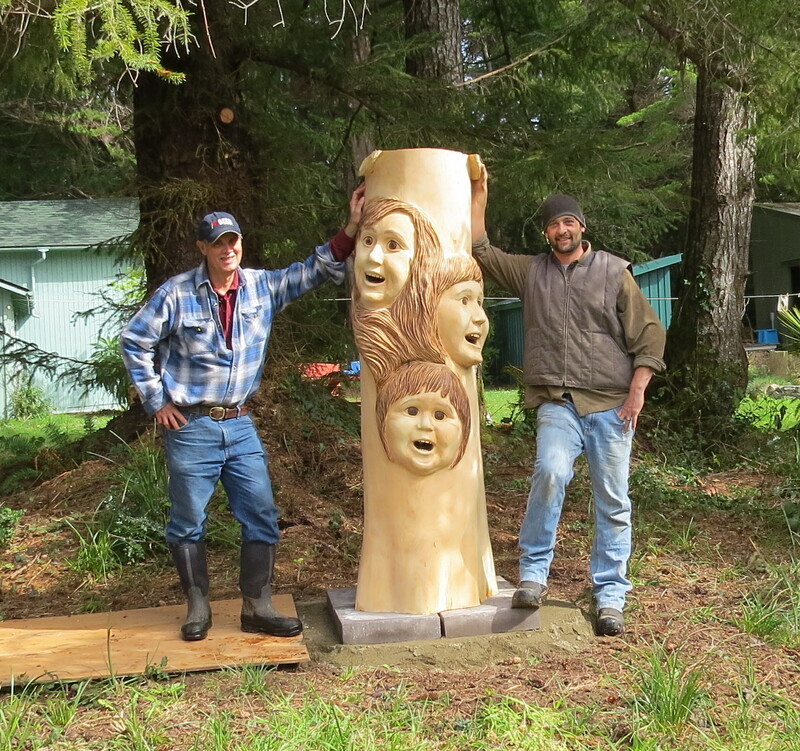 March 30, 2015…Brian Vorwaller, the wood carver is on the right. We’re both happy the log hive is on site in time for swarm season. The very beginning of the Log Hive or when I was still calling it The Three Kid Log Hive. January Progress Report Not being an expert on the chainsaw, I had been worrying about how I would be able to make the vertical cut. I wanted it to be straight. I didn’t want the cut to widen out in places while being narrow in others. I used the weather for an excuse, but eventually I had to face up to the challenge so I could get the log back by April. It worked out well. 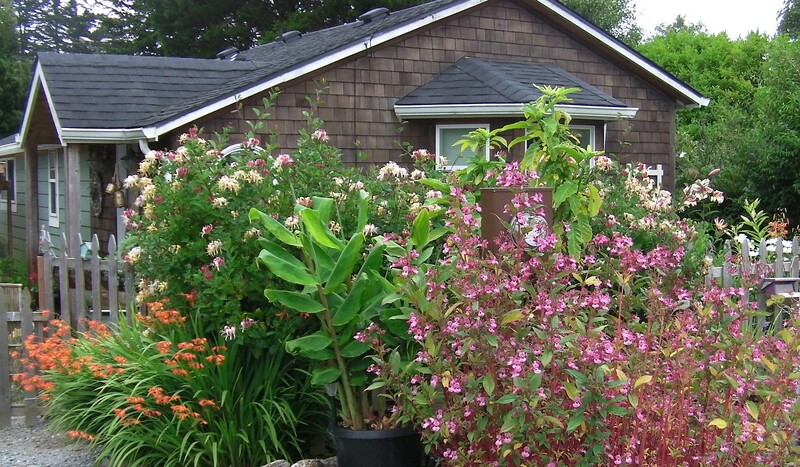 It should be raining sideways right now in March, but because the East Coast is grabbing all the cold air, we’ve been enjoying 66˙F weather on The Oregon Coast. 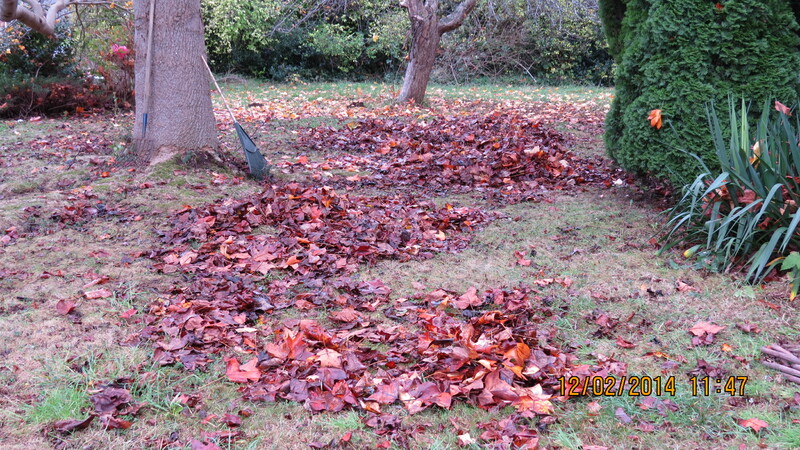 Because of the warm spell, we were able to move some things off the light stand in the house and into the garden. These lettuce and Parel cabbage plants, and (bought) broccoli were put into ground today. March 28…66˙F (18˙C) Looking at tomorrow’s weather forecast, I’m going to have to find a shade cloth for the new transplants. 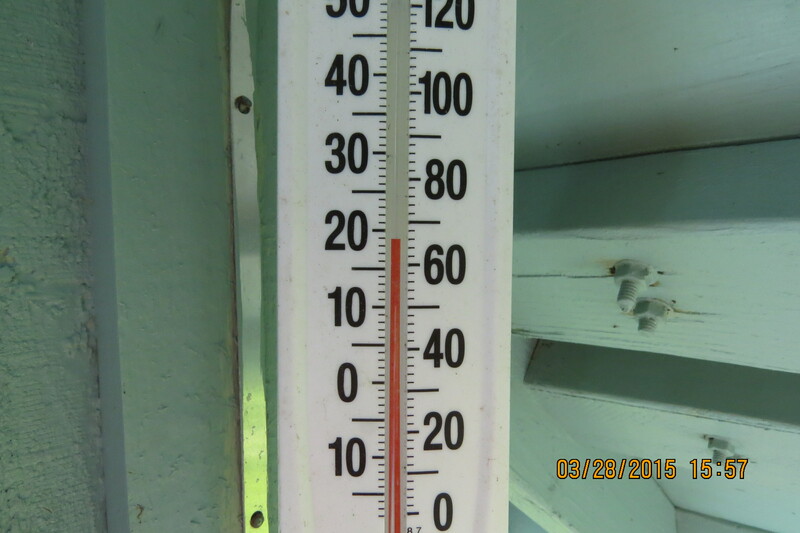 Michael Marlow says it was 28˙F in Western Massachusetts this morning, lightly snowing on the foot of snow already there. 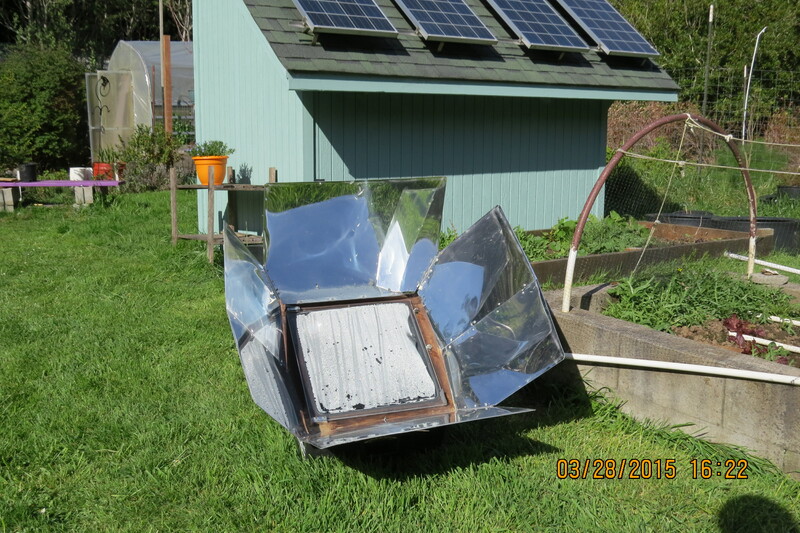 We even brought out the Sun Oven to bake up a pot of beans. 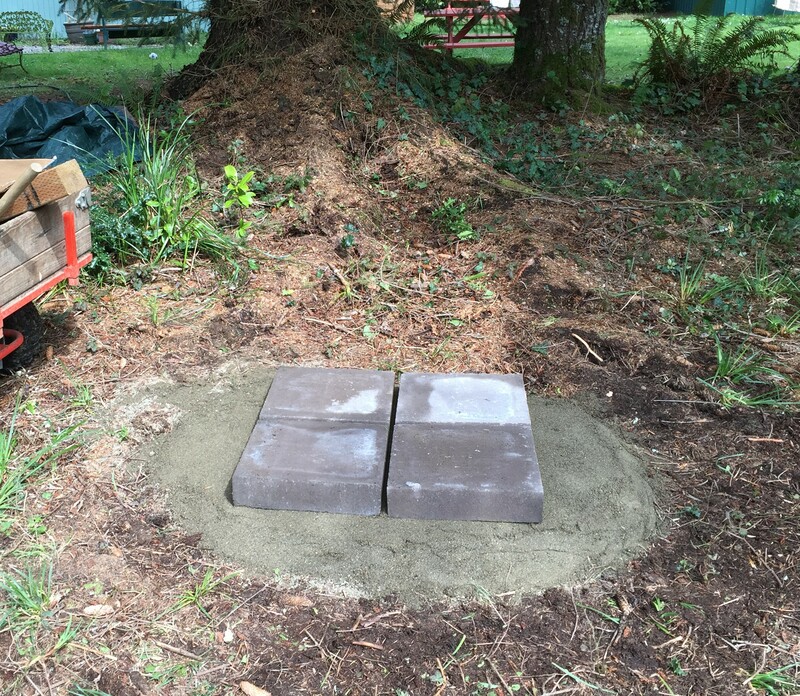 While my wife was transplanting, I was preparing a base for my new log hive. 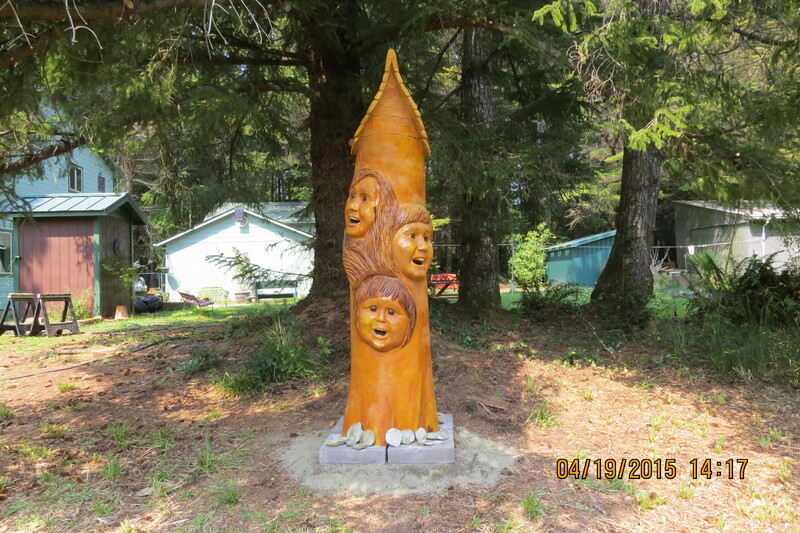 The wood carver said he would bring it out Monday. I think I’m ready with packed sand under these heavy cement blocks. When I proposed using an old bird feeding station on the log hive, Brian Vorwaller went quiet. 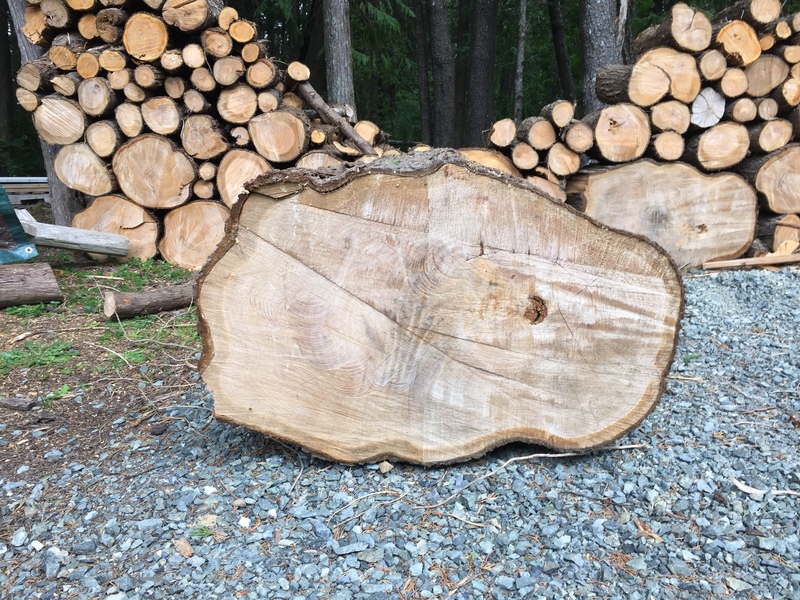 I don’t think he really wanted to see that old thing on top of his beautiful creation, so he asked me for another chunk of wood. 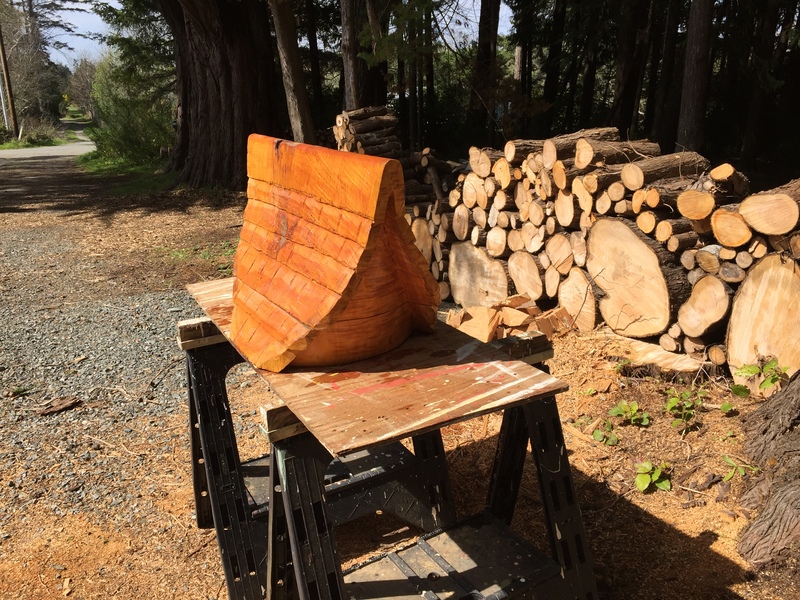 …the ‘shake’ roof that will serve as the rain-shedding top of my Grand Kids Log hive. It’s hard to see, but the quilt box is on the bottom 4 inches of it. Brian worked it into the design so well. 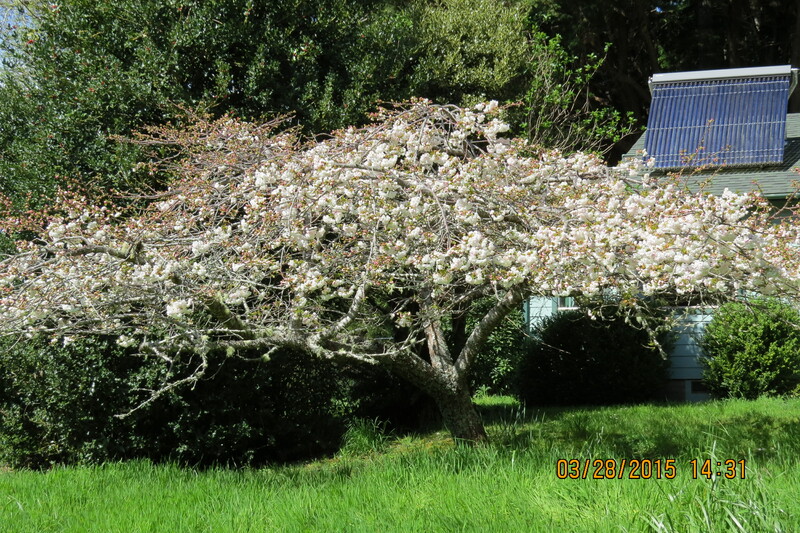 March 28…To the bees’ delight, our flowering cherry tree is in full bloom. 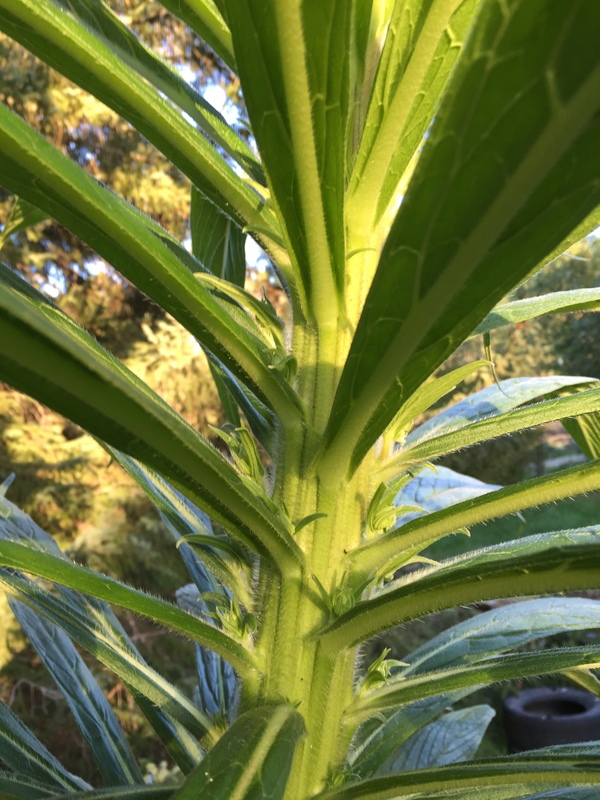 The Tower of Jewels echium plants are going to bloom this year…HOORAY! I’ve waited two years for this. 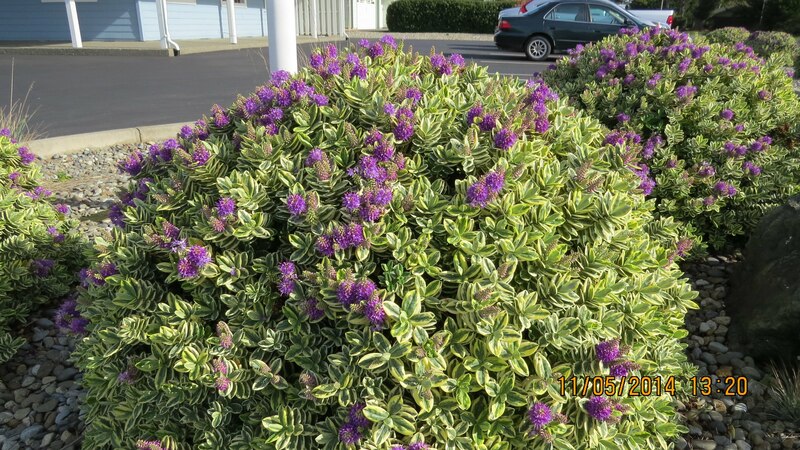 They should bloom for about 3 months giving out nectar all day long. How do I know they will bloom? 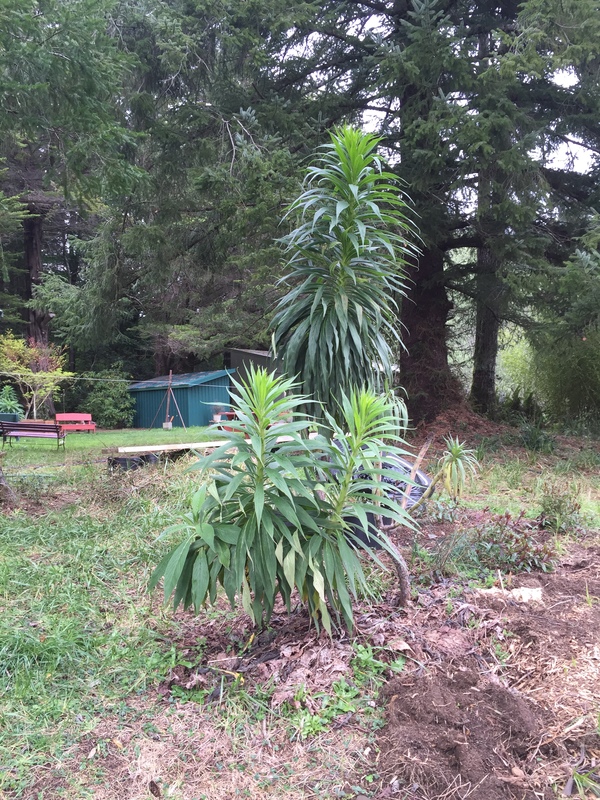 They have shot up about 4 feet in the last month, but the telltale sign is under the leaves where they meet the main stem…bud beginnings! 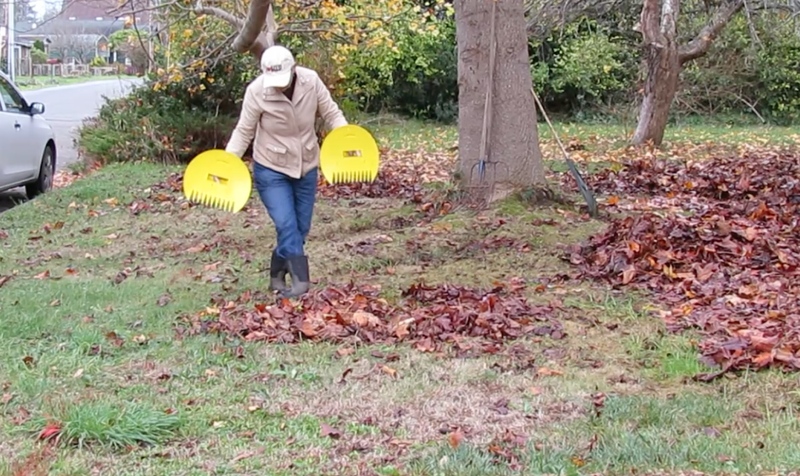 On a bleak December day, we set out to rake in the golden harvest of the Tulip tree. 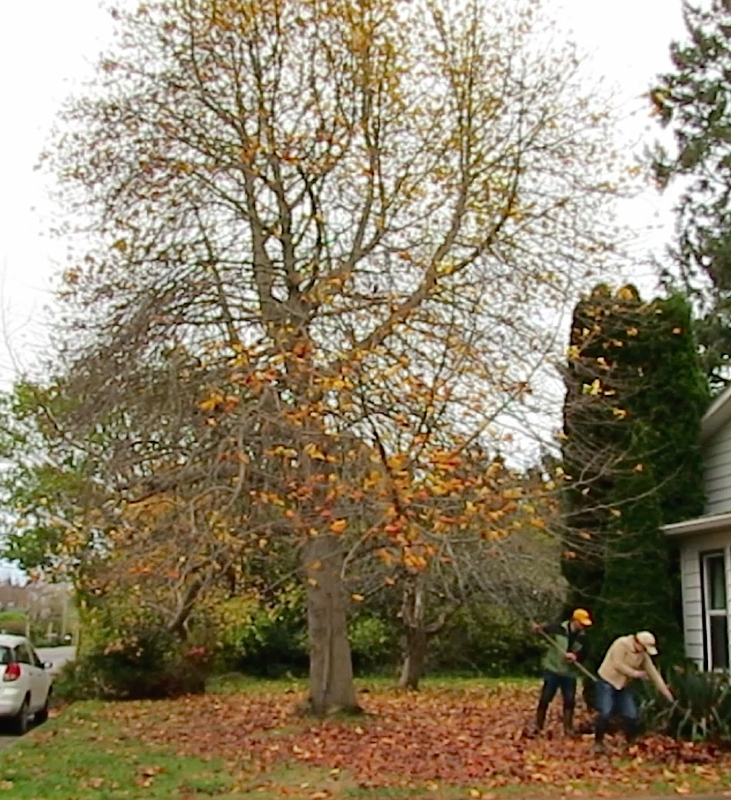 No noisy leaf blower for us, we’d rather do it the hard way. 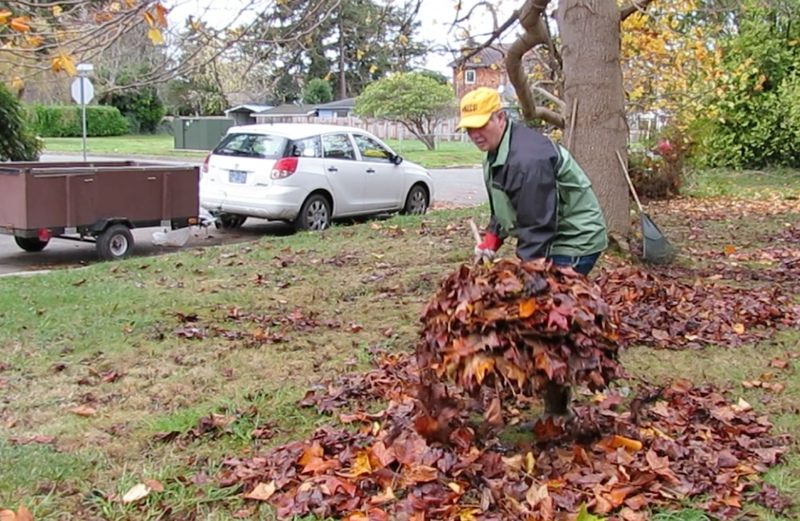 Who can pick up the most leaves? 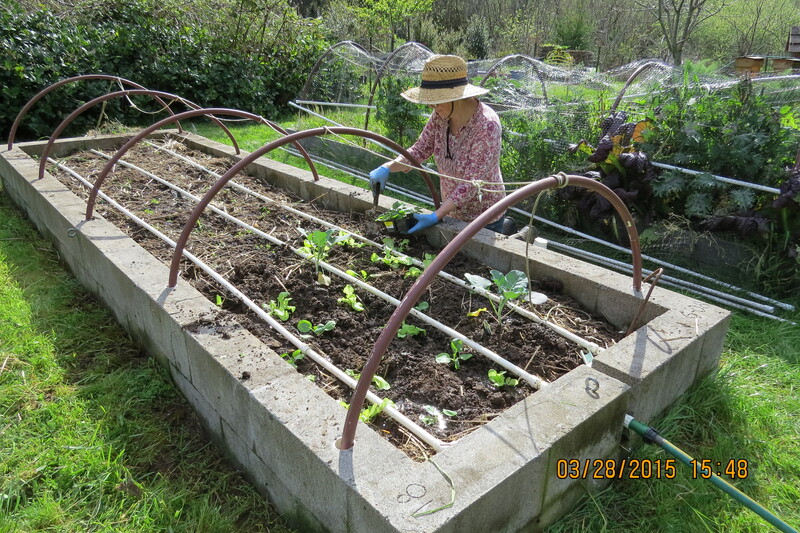 Me, of course…with the big hay fork! I thought you might like to see Steve Montana playing his banjo.